I’ll admit, I rarely begin watching new shows on television, because I can never seem to keep up with them, and it’s also hard to find programs that the whole family likes to watch. 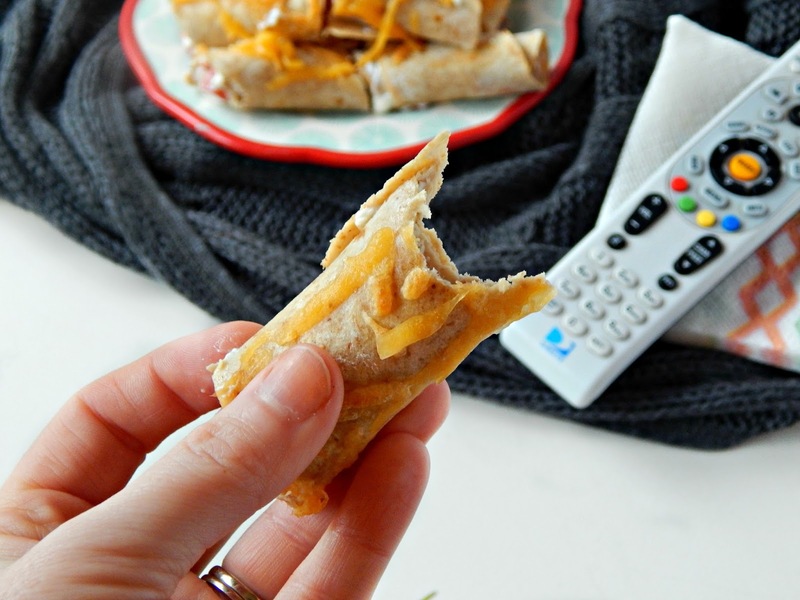 What we normally get hooked on are things like The Food Network, where we could sit and watch Cutthroat Kitchen and Chopped all day. HGTV is also something we frequently ogle at. House Hunters, Love it or List it, and The Property Brothers are always a hit. We also enjoy various shows on the History Channel, and have been watching American Pickers for years now – and (bonus) it’s also educational for the kids. The kids are also huge fans of Treehouse Master on Animal Planet; I think we all go back to our childhood dreams while watching that show. If we don’t see something on TV that interests us, we like to watch family comedies together, or classic shows like Full House, I Love Lucy, or The Flintstones. Yep, we are a unique family. 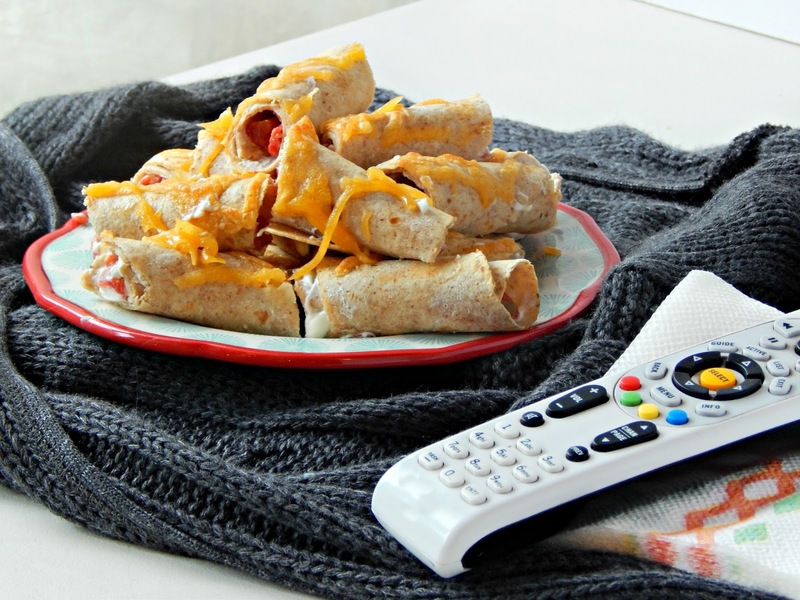 When we do have days that let us lounge around, I’ll look through the cupboards and throw together an appetizer platter and whip up a few snacks. 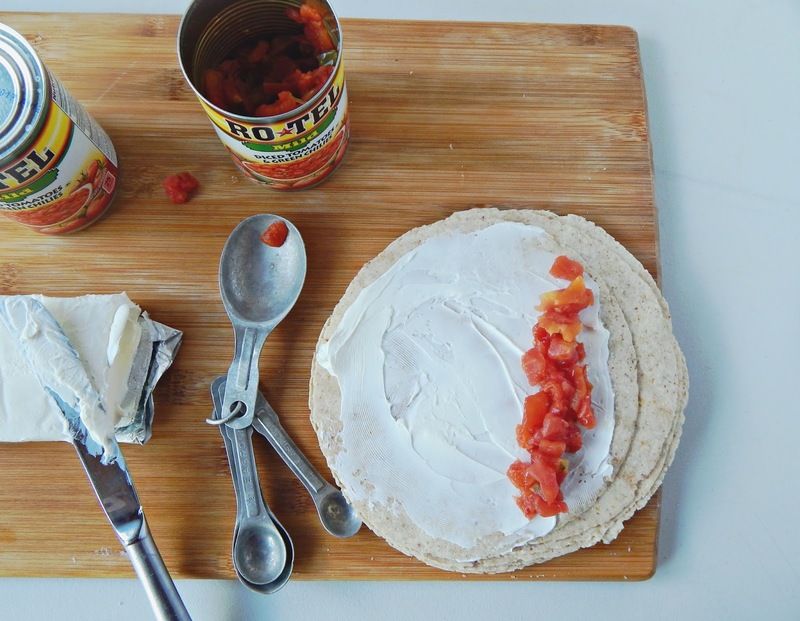 One thing I’ve made before that my husband and I like involves only a couple of ingredients. 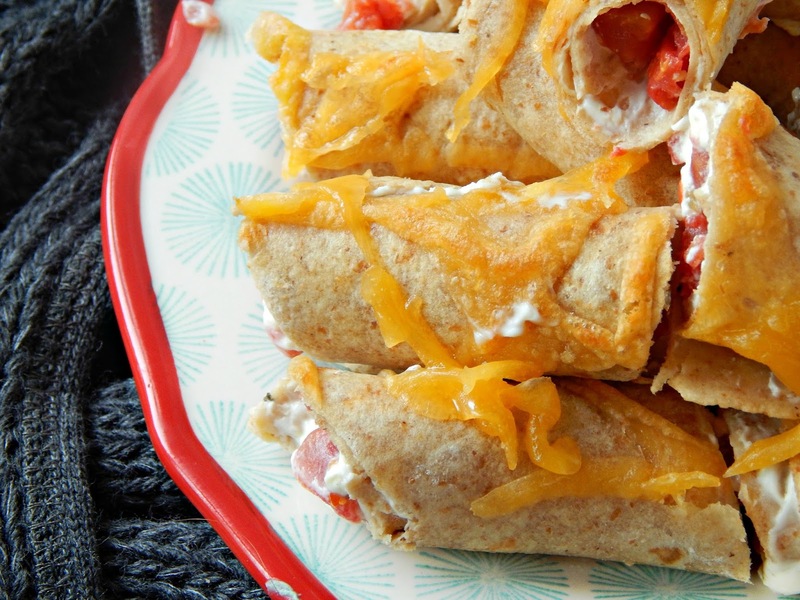 The first time I made them the flavor reminded me of jalapeno poppers, yet in a milder way. 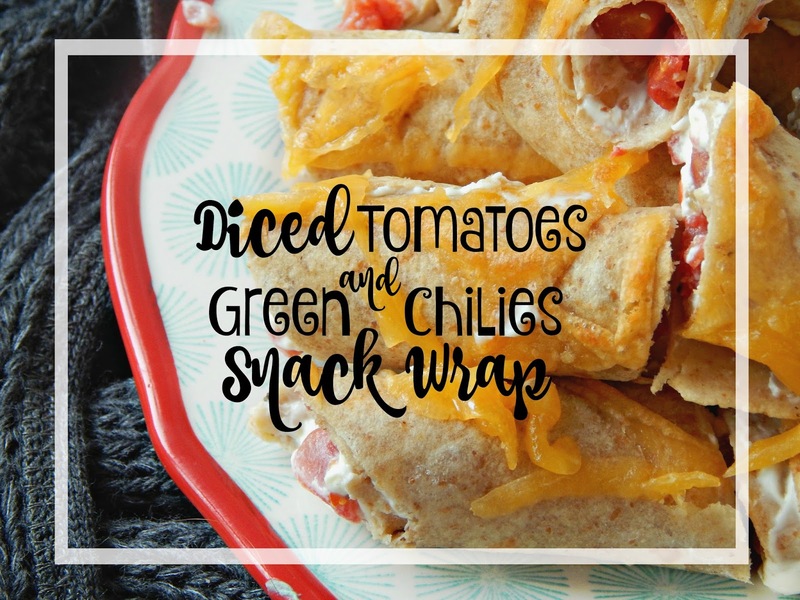 I called them Diced Tomatoes & Green Chilies Snack Wraps, and made them using RO*TEL Mild Diced Tomatoes & Green Chilies, cream cheese, wheat tortillas, and a little cheddar cheese. 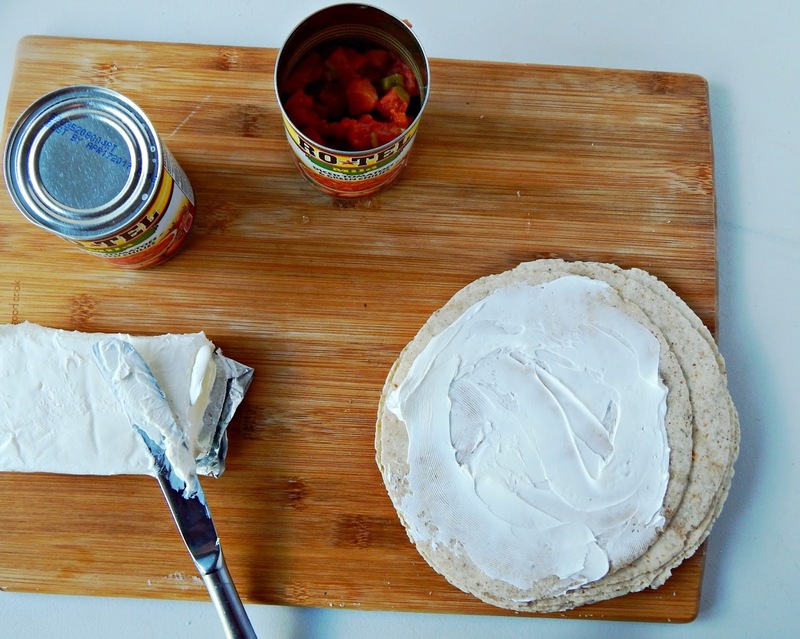 Spread cream cheese evenly on each wrap. 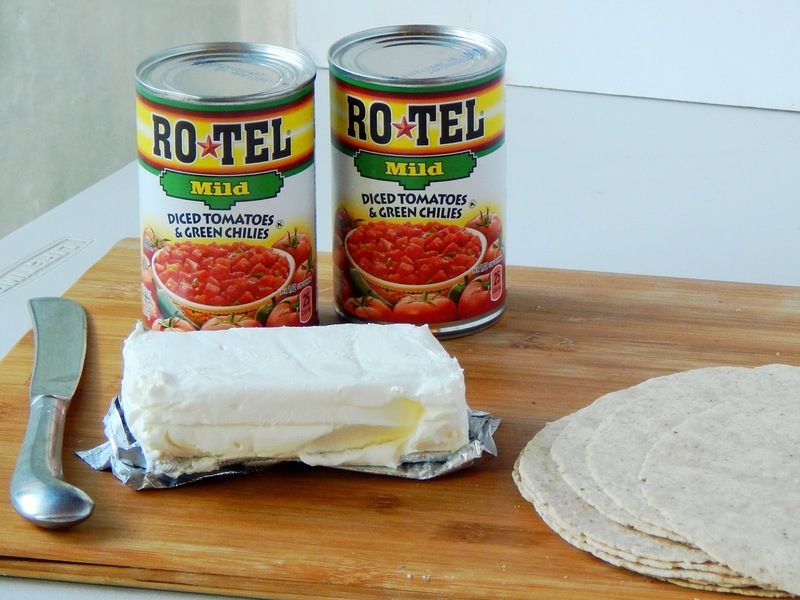 Drain the can of RO*TEL Mild Diced Tomatoes & Green Chilies and spoon 1 tablespoon onto each wrap. 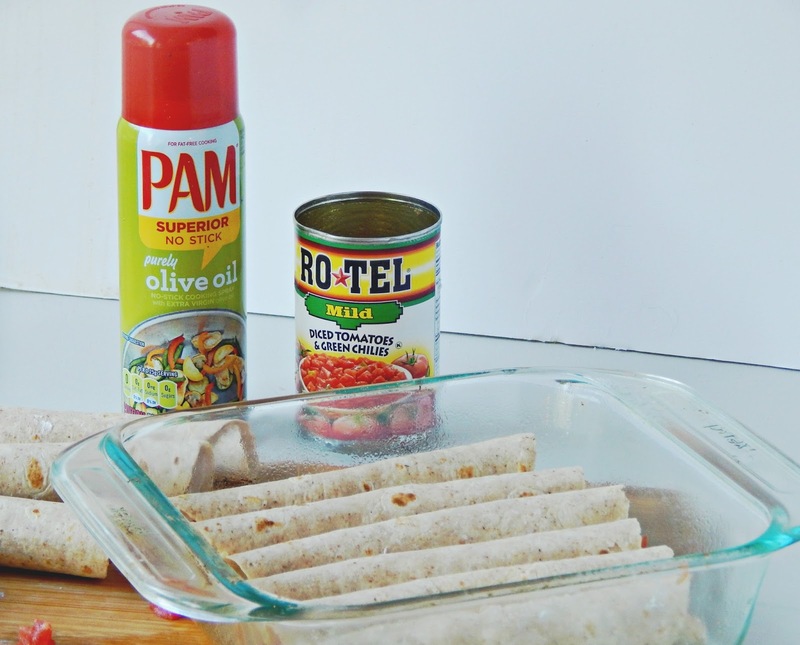 Roll tightly and place in a baking dish that has been sprayed with PAM cooking spray. Sprinkle with cheese. 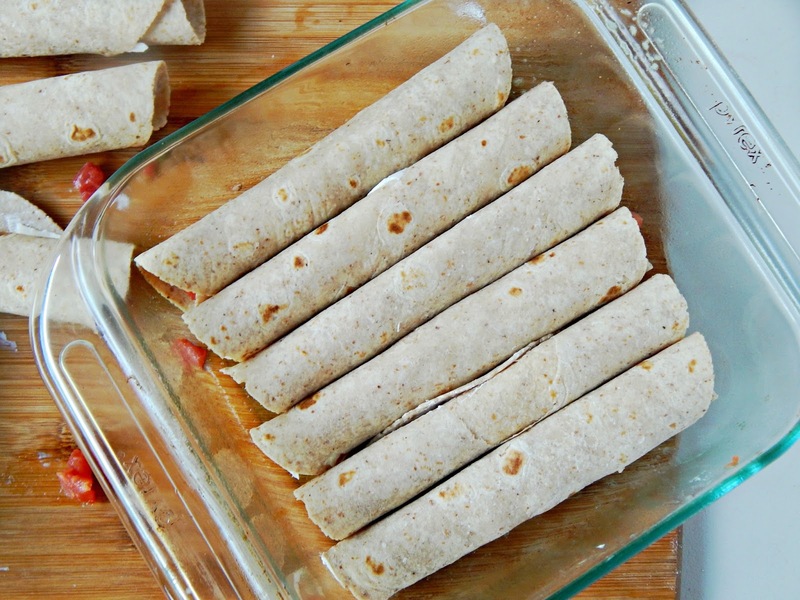 Place under broiler until the cheese is melted and the wraps are warmed. Remove from the heat and slice diagonally into two pieces. Serve immediately. 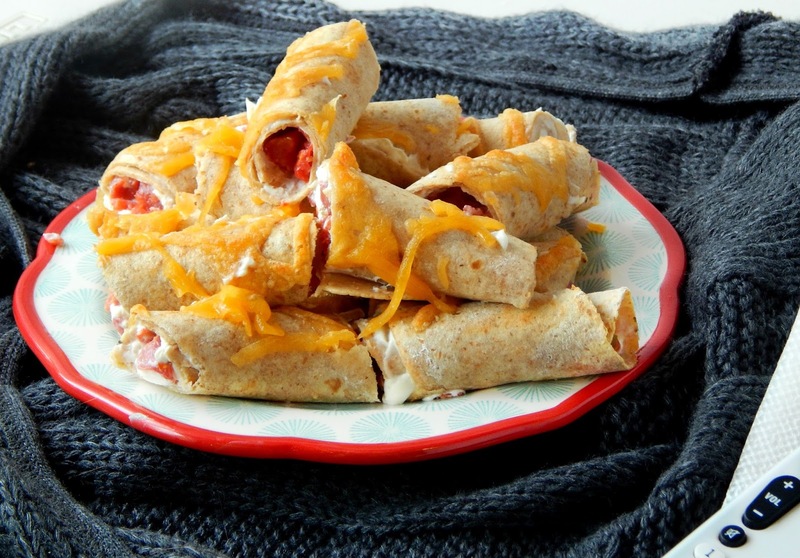 Makes 12 snack wrap bites. 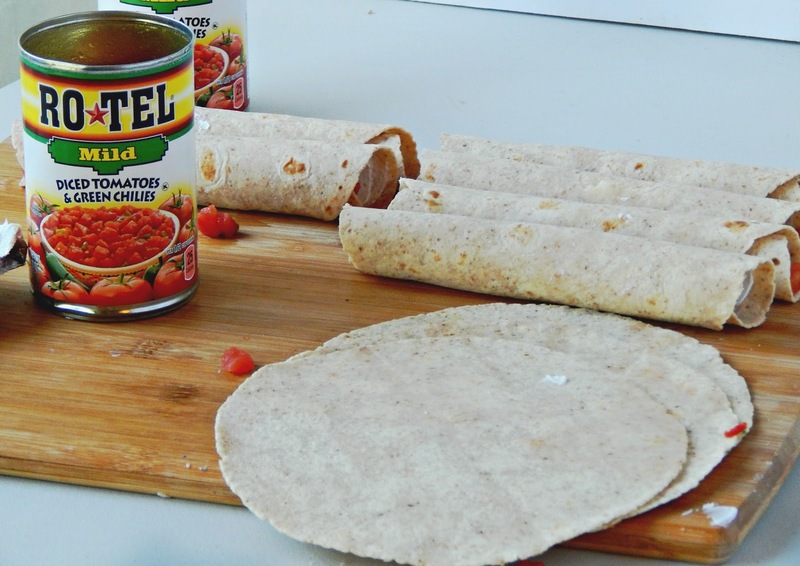 ConAgra Foods products can be found in 99 percent of American households, and include many iconic brands such as Hunt’s Hebrew National, Swiss Miss, Manwich, PAM Cooking Spray, and many more. Whether on their own or as part of a delicious recipe, ConAgra Foods brands are perfect for nearly any eating or entertaining occasion.